Simon & Schuster, 9781501107795, 304pp. "Fowler shows none of the self-aggrandizement that saturates many memoirs, and she lived a far more interesting life — before and after Sean’s death — than do many who write about theirs. Her story — rich, unblinking and adroitly told — is one of strength, of getting past but not getting over. Few would choose the approach Fowler took to kick-start healing. But hers is a thought-provoking journey that she generously shares." "[An] intensely personal and appealing memoir. ... Bring along a world map, set aside everything you know about healing from heartbreaking loss, and have yourself an unforgettable read." "Raw. ... Powerful. ... Redemptive." "Shannon Leone Fowler journeys courageously behind the clichés to explore how nations, cultures, and above all, individuals, grapple with loss; a vivid, compelling and deeply affecting memoir." "Powerful and heartbreaking, Traveling with Ghosts, is beautifully written and emotionally compelling. It is Shannon Leone Fowler's journey of survival and healing after the tragic and unexpected death of her fiancé. Battling grief with grief, she travels alone through devastated Eastern European countries, only to find her life held together by the rawness of place and the unexpected kindness of strangers. A gorgeous book to be read and savored." 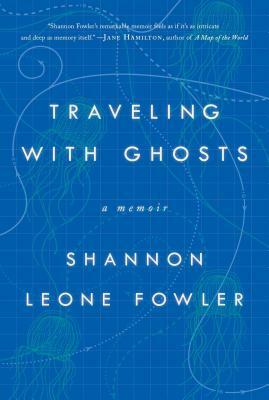 "In Traveling with Ghosts Shannon Leone Fowler has created a searing memoir that recounts the moment her life was shattered by the death of her fiancé, young Australian Sean Reilly, and the months afterward as she stumbles around the war torn and poverty stricken countries of Eastern Europe trying to find a nonexistent balm to ease her grief. Coping as best she can with the terrible knowledge that Sean was just one of a number of people who swam in the Thailand ocean having never been warned that the most venomous creature on earth was there, Shannon celebrates in Traveling with Ghosts the life she had with Sean, the love they shared, and the future they planned. Rich with descriptions of place,beautifully constructed with a chronology that allows the reader to know the Sean that she knew, portrayed with honesty and dignity, Traveling with Ghosts celebrates a life cut short, a love never given a chance to grow, and a process of recovery bravely illustrating that while life after tragedy goes on, the chilly fingers of grief touch us in a way that mark us forever."